1. 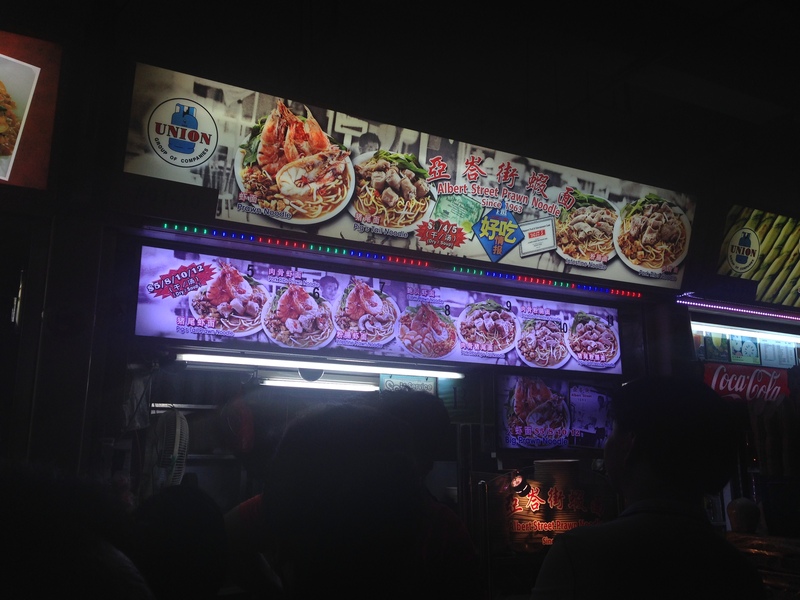 There’s an insanely long and rather slow-moving line in front of the stall, even during off-peak hours. 2. The stall bears the name of a street or neighborhood that’s practically half the country away. Singaporeans are among the most impatient people I know, so if they’re waiting calmly, quietly, in a snail-paced line, that’s a sign there’s something well worth waiting for there. As for the name, if the stall has made such a reputation for itself at its previous location that it needs to refer to it, well, you certainly need to try its food. So on a recent night, during my first visit to Old Airport Road Food Centre, a legendary hawker center I’d been hearing about it for years, when I found myself utterly flummoxed by the plethora of choices before me, each one seemingly more delectable and fragrant than the last, I looked around for the longest line. When I have a prawn noodle craving, I usually head to another part of town to get my fix at River South (Hoe Nam) Prawn Noodles. 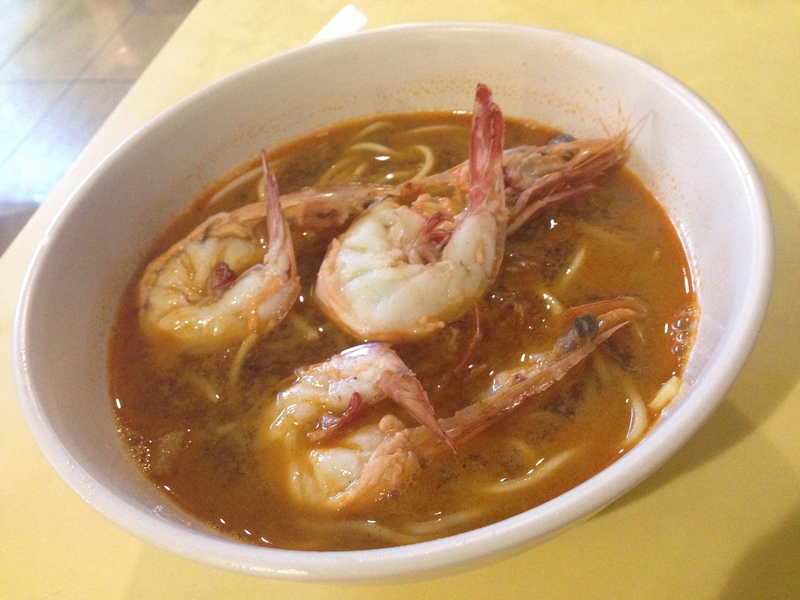 After a long wait, I found myself carrying a large bowl of prawn noodles back to the table. 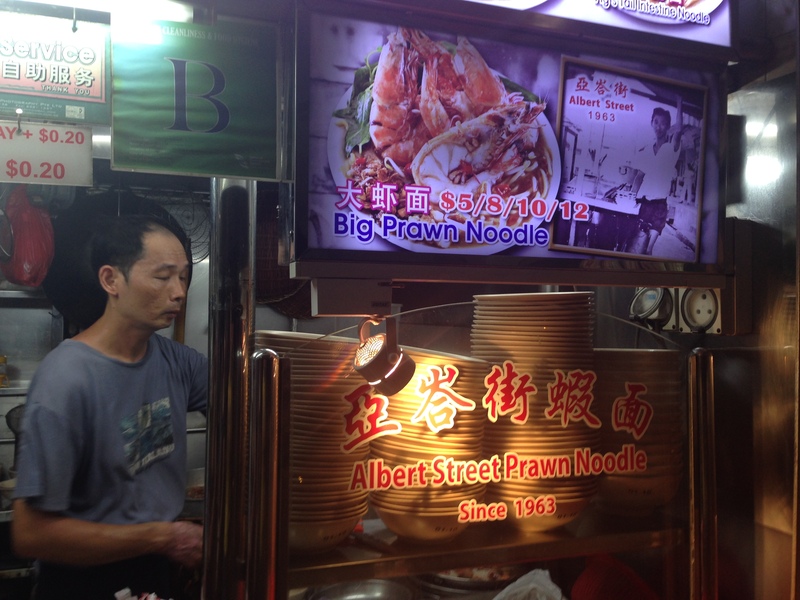 The $5 version is a nice size and you get three huge prawns with that (see above). So how was it? Very very tasty. The prawns were large and sweet — cooked just well enough so it was still a little tender and very succulent. 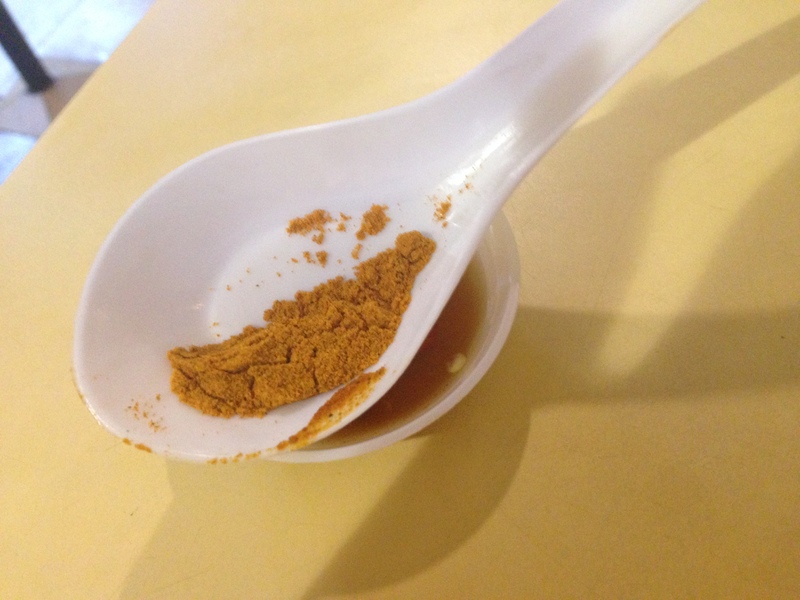 As for the broth, it was addictive — each earthy mouthful was just packed with the flavor of prawns, all the better when spiked with the extra kick of the chili powder. I forgot to take a photo of my bone-dry bowl at the end — that truly would have said it all. My theory about how to gauge the quality of hawker stalls? Proven once again.